Called the “real Amadeus,” Ondi Timoner’s DIG! has become a cult-classic the world over, ranking as the #1 music film in the UK by Digital Spy and making Enterainment Weekly’s list of the top 25 films of the last two decades. In 1996 Anton Newcombe and his band, the Brian Jonestown Massacre, were hell-bent on staging a revolution in the music industry alongside their friends, the Dandy Warhols. While Anton’s creative psychosis bred original art, his journeys to the remote areas of the human mind destroyed every opportunity for financial success. While the Brian Jonestown Massacre forged a path of destruction, the more ‘well-adjusted’ Warhols, led by Courtney Taylor, navigated the corporate sea, maintaining their creative edge while starring in mega-budget music videos and playing packed stadiums. DIG! won the 2004 Sundance Grand Jury Prize for capturing both musicians’ love and obsession, gigs and recording, arrests and death threats, ups and downs – and how choices between art and commerce unfold. 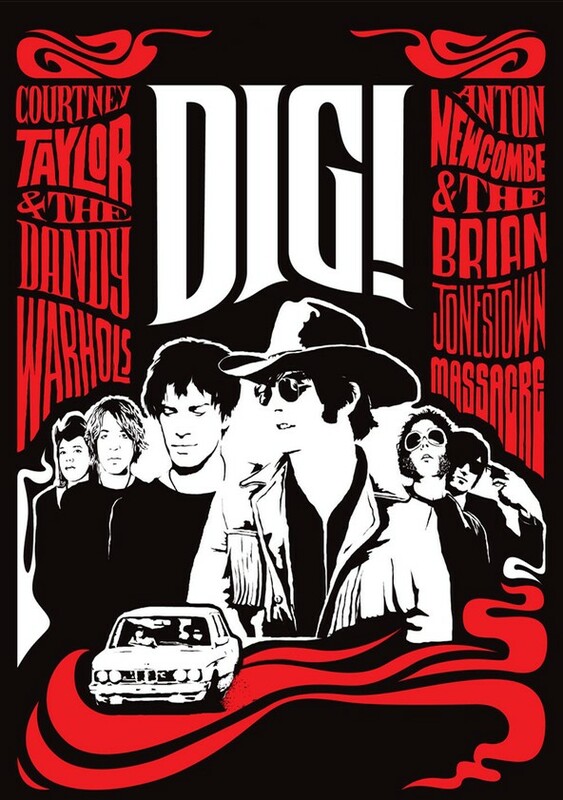 Shot over seven years and culled from 1,500 hours of footage, DIG! follows Newcombe and Taylor’s descent from star crossed friends to bitter rivals as their bands’ choices over how to express their creativity and originality in a profit-driven industry put them at irreconcilable odds.